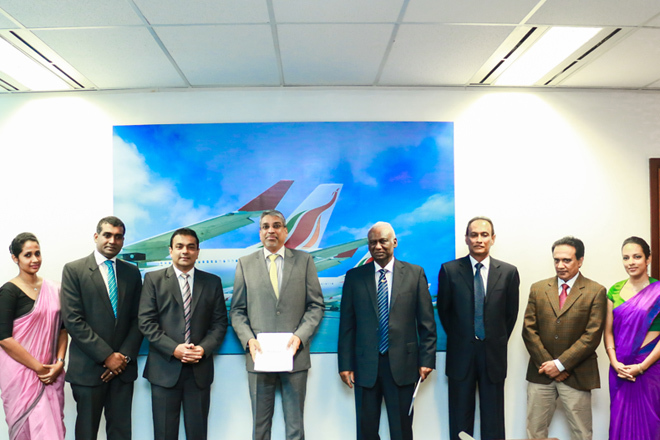 SriLankan Aviation College has appointed Nawaloka Air Services as its franchise partner. The new partnership intends to expand Aviation training countywide, providing invaluable opportunities for young Sri Lankans in all four Provinces to embark upon rewarding careers in the global air transport and hospitality industries. The franchise agreement was signed on 5th May 2016 at the corporate headquarters of SriLankan Airlines in Colombo by SriLankan Airlines’ CEO Captain Suren Ratwatte and Mr. Jayantha Dharmadasa, Chairman of Nawaloka Holdings. SriLankan Aviation College (SLAC), the training arm of SriLankan Airlines, is ranked by the International Air Transport Association (IATA) as one of the Top Ten aviation training centres in the world. It is a Regional Training Partner of IATA, and has also received certification from the European Union EASA. Each of the new provincial centre’s will have accreditation from IATA, the global body that drives standards and education in the aviation industry. The first franchise centre will be opened in Galle, followed by others in Batticaloa, Jaffna and Kandy. A diverse range of academic programmes will be offered at these franchises, including: IATA/FIATA Introduction to Cargo; IATA/UFTAA Foundation Diploma in Travel & Tourism; IATA/UFTAA Consultancy Diploma in Travel & Tourism; Harvard Leadership and Management Diploma; Advanced Certificate in Airline Marketing; National Certificate in Aviation Management; National Diploma in Aviation Management; and Aircraft Maintenance Category A 1. SLAC was launched in 2013, bringing together more than three decades of experience of the National Carrier in all aspects of aviation training. Located at Bandaranaike International Airport in Katunayake, it provides a wide range of programmes through its six faculties – Travel & Tourism; Airport Services; Cargo & Dangerous Goods Regulations; Image Consultancy; Aircraft Maintenance Avionics; and Aircraft Maintenance Mechanical.